The Foreign Policy White Paper paints a picture of an uncertain world and troubling times. With this understanding as its foundation, the White Paper outlines what approaches Australia should take to protect its national interests. While some elements are new, these approaches are still a means to preserving the status quo. What the White Paper does not do is accept that there are some big and important phenomena we cannot control, and that Australia needs to prepare for them. Uncertainty, risk, and even danger, as Prime Minister Malcolm Turnbull notes in the White Paper's introduction, characterise our current circumstances. The values and norms of the order on which our prosperity is based are being challenged by a US withdrawal from and China's increasing interest in global affairs. These are not the only risks to Australia, but concern about this dynamic is central to the White Paper. In response, the White Paper advocates that the US should review its position and maintain its commitment. It also seeks to encourage China to 'share responsibility for supporting regional and global security'; that is, to play by the existing rules. At the same time, it sets out how Australia will take a new and more active approach in hedging against and balancing China by building stronger networks among like-minded democracies in the region. There is nothing wrong in working to mitigate the challenge as it is defined. While the White Paper notes that we must prepare for the long term and understand that a peaceful region is 'not assured', it does not identify or address the challenges and implications except in rather vague terms. In particular, we must accept the reality of China as it sees itself, not as how we see it. We need not agree, but it is naïve to ignore the fact that China sees itself very differently. 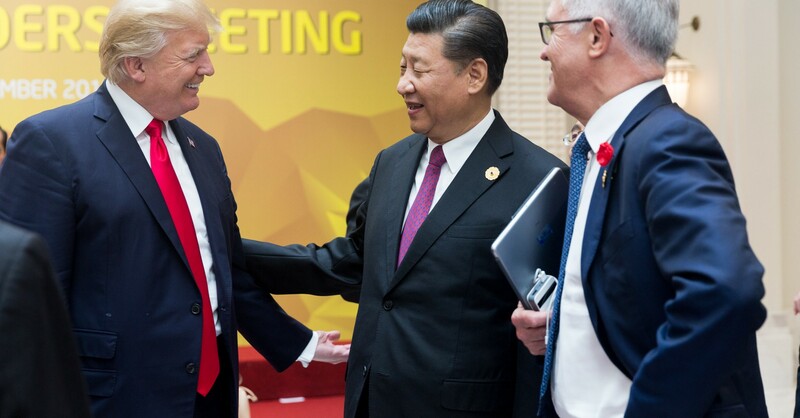 For example, the White Paper asserts that the US-China relationship remains centrally important to the region's stability and Australia's national interests. If these two powerful countries, arguably the most important to Australia's wellbeing, do not have a positive relationship, the implications are profound. However, it is not sufficient to note this and suggest Australia could perhaps play an honest broker role to ameliorate tensions. To oversimplify, the US sees itself as the natural and legitimate global hegemon (with the caveat that the current president may not share this mindset, which may not actually matter to policymaking overall). Australia agrees. But China doesn't, particularly when it comes to the Asian region. While conflict is by no means inevitable, unless someone gives a little, all discussions will continue to be at cross-purposes and serve to entrench existing (mis-)perceptions each has of the other. We encourage China to exercise its power in a way that enhances stability, reinforces international law and respects the interests of smaller countries. For one thing, China argues and largely believes that it is a responsible actor. We may not agree, but every time we criticise China for it, we alienate Beijing further. For the last decade or so China has been increasingly determined to chart its own course domestically, and, by extension, increasingly willing to try to reshape the aspects of the international system it believes don't support Chinese interests, or those of other non-industrialised, non-Western countries. It is worth noting this is not only a Chinese concern. The 2016 Defence White Paper defines the 'rules-based order' as 'a shared commitment by all countries' to 'agreed rules which evolve over time'. While this Foreign Policy White Paper acknowledges 'an evolving international order', overall it presents Australia as being resistant to change and surprised that the world as it has been may not be the world of the future. A third example is the conundrum of Australia's security and economic eggs being in different baskets. The debate has long been whether we must choose between the US and China. The larger question is how long we'll be able to have a choice. The White Paper acknowledges that our economic strength is an important aspect of our weight in the world. It says we should use that weight to protect the regional order and the liberal norms and values we hold dear. It also notes that our prosperity is largely linked with China's rise. Those things are connected. It is naïve to assume that China will be indefinitely willing to fund our ability to criticise it and attempts to change it. As the Global Times noted, the White Paper says to China that Australia wants to have its cake and eat it too. The answers to these challenges are by no means simple. But we must at least be asking the questions. How else can we genuinely respond to the challenges of the times? The White Paper has missed the opportunity to steer Australia effectively through these uncharted waters. In its narrow view of what is good and right, the White Paper has overemphasised mitigation and shoring up the status quo at the cost of allowing space to discuss strategies for adaptation.